Leading smartphone-maker Samsung has some exciting plans to make its Galaxy series phones not just standout among the rival brands but also leapfrog them in terms advanced design and technology. Thanks to a recent spate of leaks, many Samsung fans now have a very good idea of how the Galaxy S9 series will look like and what it will be coming with, on February 25. 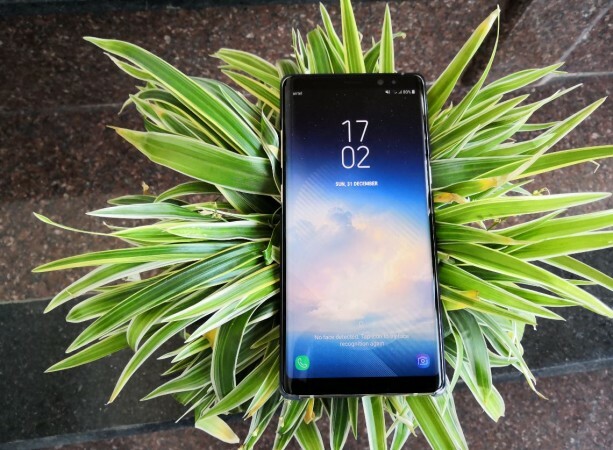 But, the general consensus (based on speculations) among critics and prospective customers about the new phone is that it might be drab, as leaked images have hinted that the Galaxy S9 will have almost the same design language as the near-perfect Galaxy S8, but with little cosmetic changes, particularly the fingerprint sensor positioning. The fingerprint sensor, which was aligned horizontally beside the camera module in the Galaxy S8, is now translocated below the camera, almost at the center of the back panel, which makes a lot of sense as users will be able to reach the biometric sensor easily and also avoid accidentally touching the camera and leaving sweaty smudges on the lens. Everything else is expected to be unchanged in terms of design, but the phone will come with incremental upgrades such as a faster CPU, an improved camera, and higher-capacity RAM and storage options. In our review of the Galaxy S8 and the Galaxy Note8, we were really impressed by former's gorgeous "Infinity Display" and the latter's versatile S-pen and camera along with the aforementioned screen design, and wondered how Samsung would push the envelope further in 2018. We are not sure if the Galaxy S9 series will impress critics and fans, but we do understand how smartphone companies — Samsung, in this case — strive to develop devices to leave fans speechless. However, it is becoming increasingly difficult to bring out a "wow" factor in a phone each and every year. Case in point: Apple took four years to bring a new design to iPhones. But, the future looks great for the Samsung smartphone series. Samsung's recently-filed patent (with the World Intellectual Property Organization), leaked by the Lets Go Digital blog, has revealed amazing strides made by the company in terms of smartphone displays. In the leaked patent, Samsung has confirmed to have developed a true bezel-less display with multi-purpose in-screen buttons in the front-panel. No other brand that we know of has conceived something like that. Yes, Vivo has already demoed the in-screen fingerprint sensor at Consumer Electronics Show (CES) 2018, but Samsung is several steps ahead of this technology. We have come to understand that Samsung's new patent allows in-screen buttons on the display to have multiple-function capability. For instance, the pressure-sensitive home button will also double as the biometric sensor, but depending on soft and hard press of the finger, it can do more. Once the phone is unlocked, the user can invoke the home screen by lighter touch, but a hard press will open the microphone, and a harder press will get it to list the apps installed in the phone. Even the other two common buttons, Recents and Back, can be assigned multiple functions. What's intriguing is that there is only one small spec on the top in the form of a thick line, most probably for the earpiece speaker, but no space for the front-camera in the display panel. We believe, Samsung, like the in-screen fingerprint sensor, might have figured out a similar strategy to hide the fully-functional camera on top. This technology is applicable to LCD, LED, OLED (also AMOLED) and electronic paper display, reported LGD citing the patent document. It is believed that some of the aforementioned features might arrive as early as September with the Galaxy Note9, but the full-fledged features are expected to come in 2019 with Galaxy S10, with which, many reports suggest, Samsung might ditch the "S" in the nomenclature and embrace the "X" series. The Galaxy X has been in the news for almost a couple of years, mainly making headlines over its rumored bending capability. The Galaxy X will be completely different and more advanced in terms of folding capabilities over Galaxy Round. The former is said to come with front-panel having 1.0R curvature, meaning the device's screen will be able to fold inward like a paper. 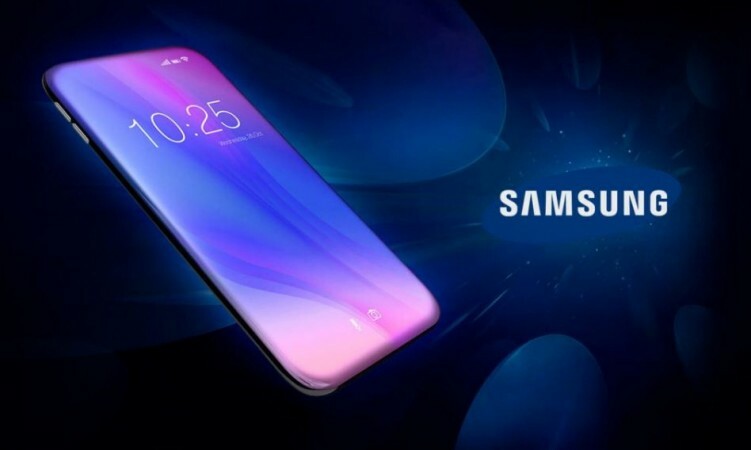 If the features mentioned in the patent do come to the Galaxy X, Samsung will set a new benchmark in the smartphone industry and might very well widen the gap with rivals in terms of market share. Stay tuned. Follow us @IBTimesIN_Tech on Twitter for latest updates on Samsung products.